Once upon a time there lived Pengui the Penguin. He feared the Loch Ness Monster. 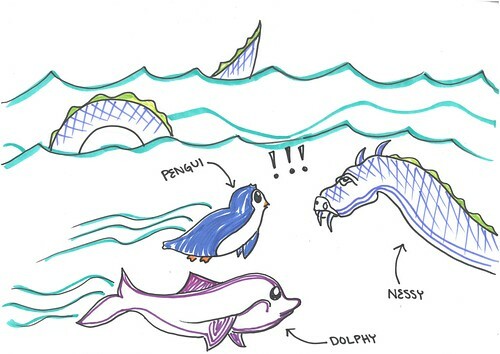 Pengui’s best friend was Dolphy the Dolphin. 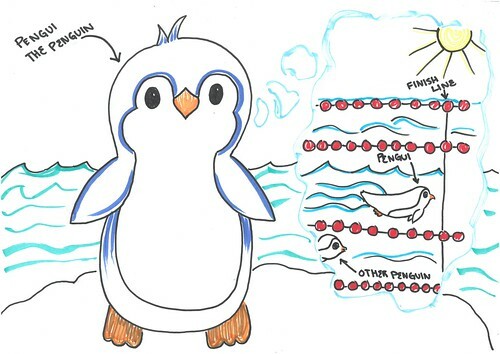 Pengui always wished he was the fastest swimmer ever. Dolphy helped Pengui practise swimming. Sometimes Pegui saw other things in the water. 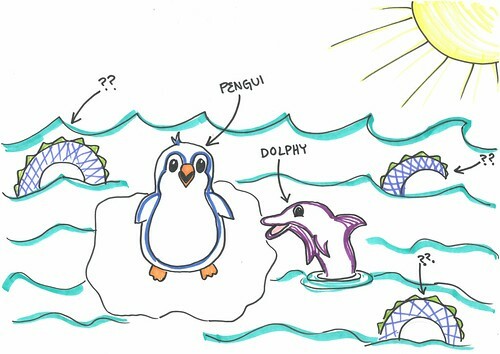 One of the other things was the Loch Ness Monster - but Pengui didn’t know that!